Completely inaccessible by car, the only way to enjoy these cliffs is a long hike or a ride in a helicopter. 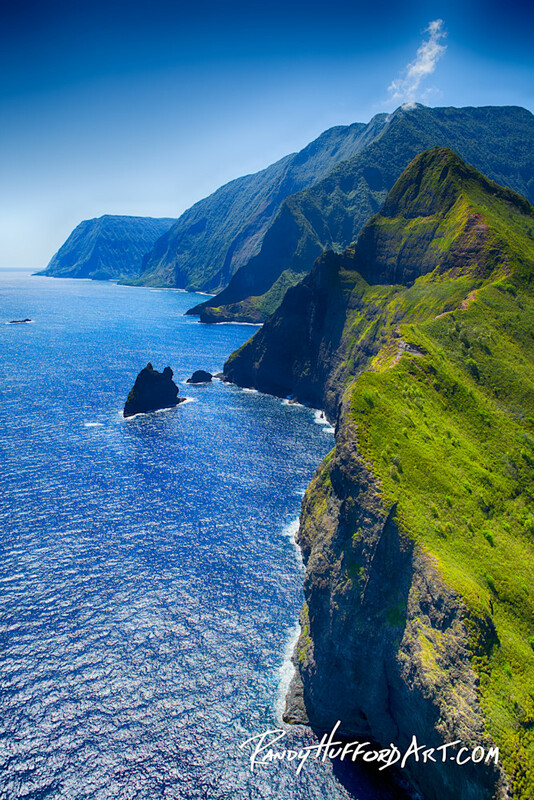 Although its highest peak is only 4961 feet elevation, Molokai holds the world’s largest sea cliffs at 3315 feet. Completely inaccessible by car, the only way to enjoy these cliffs is a long hike or a ride in a helicopter. It is the inaccessibility that give the water that pristine, undisturbed appearance—truly breathtaking.